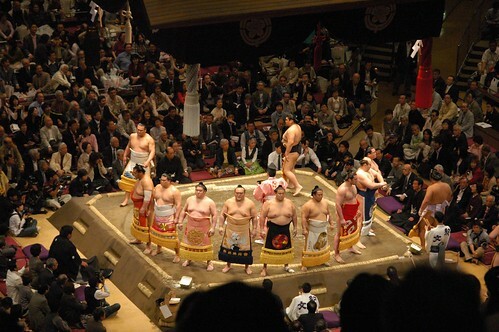 I already knew that sumo was amazing, but seeing it live took it to the next level. Truly the sport of kings. The sushi at Tsukiji market is very good, but it would help to have some reference point besides 100 yen kaiten-sushi. Capsule hotels are great and probably the best option for someone travelling on their own (for bigger groups use a love hotel). The egg-shaped building previously seen in Barcelona and London is here as well. Something is up. Tokyo looks better at night.